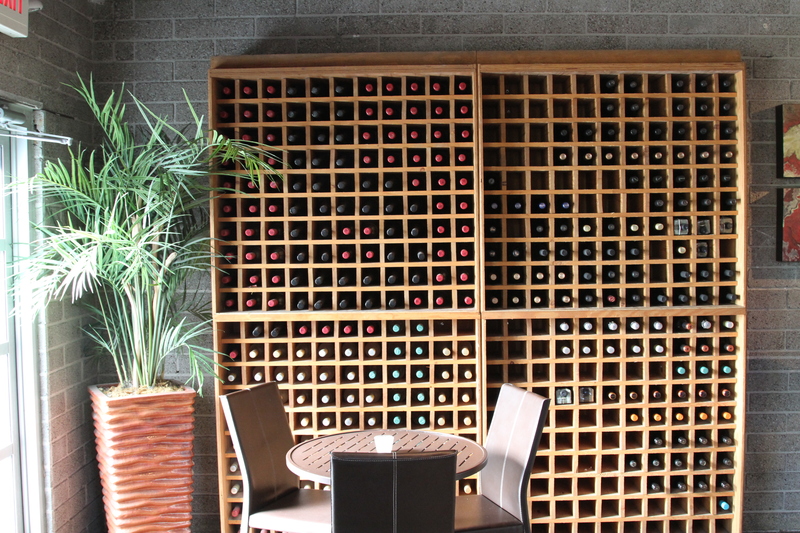 Nice looking wine rack, but is it good for long term storage? brought it home and put it on a funky fake mahogany wine rack in the kitchen. I was happy with how my kitchen looked like the show model house, with the wine in the rack. Little did I know that when it came time to drink the wine two years later that the juice would taste like burnt mud. Why?? I spent $80, eighty hard-earned dollars on that bottle! Actually I just thought that the wine was crummy. I opened another, and the same thing! 1. Light. Ultraviolet light is BAD. Experts agree that UV light impacts wine in a similar way to excessive heat, it can cause oxidation of the tannins. Do not let your wine sit in direct sunlight. Even secondary UV light can be harmful in the long-term so it is best to store your wine in a dark environment. 2. Temperature. Experts agree that 55F is ideal. If you store the wine too cold it impedes the aging process and if you store it too hot it speeds it up too fast. Anything over 70F is risky and anything over 80F is how you end up with burnt mud for $80 a bottle. The University of California, Davis has come up with a formula: For every 10F above 55F, the wine will age twice as fast. So if you store your wine at 75F it will age four times as fast as if you stored it at 55F. Not only that but when wine matures too fast, all of its fruity aspects are lost. Peter from Rose Hill Wine Cellars in Toronto Canada says “Storage at elevated temperatures more than 21°C (70°F) causes undesirable changes as various reactions are accelerated, but at different rates. The result is a lack of balance in the aging process. Also in the Temperature category is Temperature Fluctuations. Temperature fluctuations can be harmful to the maturing process, even if the high temp is not over 70F. As close to constant is best. You will notice that most wine storage devices run in cycles so as not to be constantly running. The temperature may fluctuate between 52F and 58F, this is considered an acceptable range. Something else to consider is that although the temperature inside your wine fridge may be fluctuating, the wine temperature is fluctuating less. That is because of the nature of liquid versus gas. The temperature of air fluctuates more than the temperature of liquid. Even so, Peter at Rose Hill says that fluctuations of more than 2° to 4°C (5° to 10°F) are undesirable. Something I find a little suspect in a lot wine fridge catalogues is the pictures of wine fridges in the kitchen. Nice under counter storage units placed right next to an industrial sized oven. Looks great, but how smart is that? 3. Humidity. Humidity is something to think about although not quite as crucial as UV and Temperature. 40%-70% is the ideal range. What you dont want to have happen, is for the cork to dry out. If it does, then cracks form in the cork and eventually air gets in the bottle and its game over. That is why experts recommend storing wine on it’s side. Too much humidity is not good because then your nice wine labels begin to bubble, and also there is the potential for mold to grow inside the bottle, especially if you leave it standing upright. 4. Vibrations. According to experts vibrations disturb the sediments in wine when alter the aging process. This is why most people would not suggest storing wine in a regular household fridge. If you stand a few wine bottles up very close to each other, you will hear them rattling in a normal fridge. Proper wine fridges are designed to limit vibrations. 5. Natural Ventilation. Adequate ventilation is important in order to prevent unpleasant odor build up and mold. Related to ventilation and odor buildup is you should not be storing wine in the same area as other things that have odors. Like food. Some experts claim that foul food odors can make their way into the wine. I for one do not want to risk finding out the hard way, so I am not going to be keeping any cheeses or garlic in the wine fridge, or keeping my wine in the food fridge for any extended periods.